We discover Marceline is the owner of this book and has given it to Finn and Jake to read and add notes at will, but to be careful not to die since her father was the one to put the text together. We also are given a map of the land of Ooo which puts the layout into perspective. We first begin with a “Compleat Eel-Gutting Guide Booke” which Marcie thinks shouldn’t be in the book at all, but Finn, who writes in blue thinks otherwise, with Jake’s support. We then get a warning page of whom will be safe to read the pages ahead, the norms not included. We then get a step by step description of what will occur if those who aren’t supposed to be reading, continue to do so, ending with transformation into something which was slimy. Then we get some pictures of Marceline and her father, after which we have a table of contents. The Backward Foreward is, in Finn’s words, trippy. When we start Hunson Abadeer’s preface, he describes his earliest memory and the opinion’s of the boy’s and Marcie interjected. We are then given an Introduction to the introduction describing the previous leader of Ooo, who has an entertaining name when said with the land’s moniker, after which he reiterates his words similarly throughout the text. Then we begin the Worthless Inhabitants “Mr. Evil” has given pardon to for his daughter’s sake. It goes to give pictorial identification and then descriptions of the character’s we all know starting with Finn, who may or may not have a secret he may or may not know he has. Then we learn his origins and how he got his name, also giving some cute baby Finn pictures, as well as his phobias. Then Jake, of course is almost immediately insulted in his description, crossing part of it out going on to mention how Jake got his magical abilities and his age compared to Finn. We also uncover what his innerds smell like and his smelling abilities. Princess Bubblegum comes next where we are told about her physical and at times, her evil side. She also knows German, has a degree in glycomics and has a Frankenstein’s monster sort-of-way son. We also become privy to who her doctor is later on. Then we move on to Marceline which covers her likes and dislikes from an interview she gave to a fanzine. We also learn where the two fang-marks on her neck came from as well as the “rumours” about her, which were all facts since they came from her father. Then Ice King is next, which gives information from a VHS tape about his origins and real name. It goes on to describe how he got so crazy and the VHS tapes found were his video diaries he’d started almost from the beginning of his descent into madness. We also get a list of his talents and magic, his beard having its own bit of magic as well as knowing he has a tattoo and has been married before. We are given what his favorite video-game is, as well. After is Lady Rainicorn, which starts with learning where she lives, who her best friend is, what kind of Asian language she speaks (since I, for one, was not sure), and also mentions another magic talent she has as well as how she can fly through certain solids, along with riders. 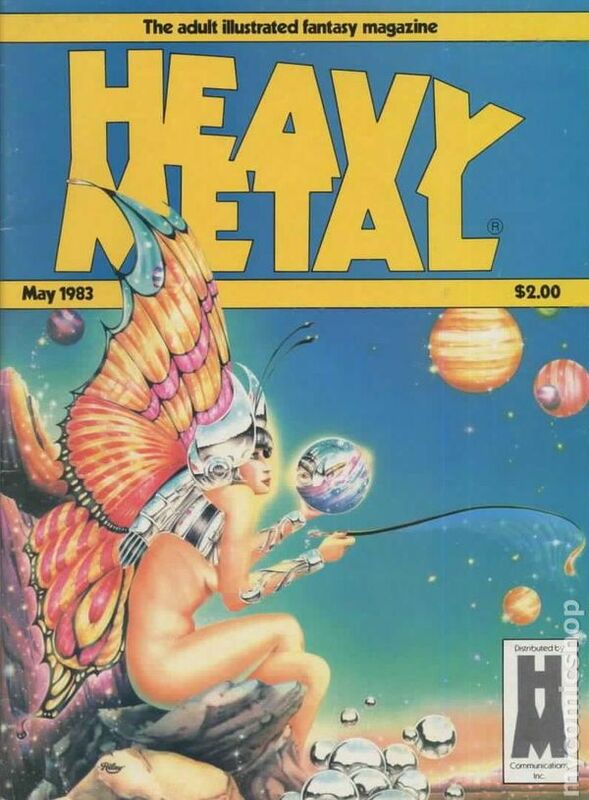 Then Lumpy Space Princess is covered which gives all the details one would expect about this trash-talkin’ princess. There’s even a special part where her story is told in “fairy-tale” format. Then we move on to the, “Insignificat Inhabitants of the Land of Ooo”, in alphabetical order, starting with Abraham Lincoln and ends with Marcie’s ex, Ash for the “A’s”. B’s start with BMO and ends with Butterfly Bandit, which contains some fun alliteration. C’s begin with Cactus Creatures and ends with Cute King. D’s start with Death where it’s revealed he’d played in a band with Abadeer, and ends with the Duke, Duchess and Marquis of Nuts, which in Abadeer’s own words, “are of any consequence…”. E starts with the Earl of Lemongrab and ends with Ed and Barb, acquaintances of Finn’s. F’s start with Fear Feaster and ends with Forest Wizard. G’s begin with Georgy and ends with Gunter where it describes how evil he/she truly is. First in H is the Hot Dog People and last, also known as, the second in this section are the Hug Wolves. First in J’s are Jaybird and Jake’s brother, Jermaine gets his own little section as well, then ending with Jake’s parent’s, Joshua and Margaret. Skipping K and going straight on to L, we begin with the Lich which gets a page all to himself and ending with the Lumpy Space King and Queen. We move on to Abadeer’s most hated Wizards of Ooo after this, which begins with Abracadaniel, who is also covered in the last section. NEPTR is also mentioned in this area, after which we cover the most hated Princesses of Ooo, starting with Breakfast Princess. We are then given the possible evil, the snail whom shows up through episodes, may possess. After getting through the alphabetical list, which is filled with short blurbs of the creatures, we have a Zine by the Ice King which starts with character profiles of Cake and Fionna, Marshall Lee, Ice Queen, and others, after which is BMO’s Instructional Pamphlet and User Guide giving one the insight as to how to treat BMO with the respect it deserves. We then move on to the Land of Ooo and You, beginning with a tourist guide made by Princess Bubblegum. She writes of all the different Kingdoms in the land of Ooo starting with Candy Kingdom, then to the Fire Kingdom and then the Ice Kingdom. Lumpy Space is also covered, then moving to the Breakfast Kingdom and covering also a forest and haunted house. We then get Marceline’s travel blog to finish off the chapters. She mentions a Kingdom not covered by PB called Goblin Kingdom, pretty self-explanatory. After is the Lost Texts of Ooo which begins with an excerpt of the Enchiridion. It continues with cut off text of different old legends and also covers some spells of Abadeer’s. Then we get to the chapters which, if one reads them, will die! Starting with a full page introduction which tries to dissuade the reader with big words and imminent death, then going on to a page written by a wizard whom got turned into the page. We also have an unsolvable rebus which will supposedly make one mad, as it had others. After which comes the disclaimer, purely in law-speak and then we get to a part where the book tries to get the reader to stop reading it. This was mostly entertaining, and slightly a chore to get through since it is made up of mostly the descriptions of characters one barely recognizes, but I’ve read almost everything else Adventure Time, so I’m satisfied I at least read it; the pictures were a plus, as well. The prologue starts with Smiley serving a hooded figure, but is stopped by Mr. Down, covering the pipe-smoking hooded guy’s tab, Smiley heading back to the kitchen. Then someone scoffs at Mr. Down’s display, accusing the hooded figure of working with the dragons. Wendell, the one doing the complaining, is asked by Lucius if he’s got a problem with whom he sells beer to, he, not making a fuss anymore, but saying to himself he’ll be buying from Smiley from now on, which is more humorous since they’ve got a bet going between them as to who will sell the most beer between, Smiley and Lucius. This one throws us straight into the season of winter solstice with Thorn and Fone Bone coming back with the tree they’re going to set in the house for a night. Smiley isn’t certain whether they celebrate the solstice in Boneville, when Phoney speaks up and says they do, for different reasons. Phoney goes on to mention his reasons having to do with monetary value. Fone takes this moment to go back out into the woods with a little tray, looking for someone until they pop up voluntarily and we see it’s the rat creatures still ready to kill Fone, instead accepting Fone’s gift of quiche. After the short holiday comic, we get an interview with the creator, Jeff Smith. They first ask where he’d gotten the idea, which is covered in almost every selection. Being, from childhood and his visiting with family in summers where they had cartoons playing all day whilst in Ohio it was only Saturday morning. He goes on to mention the creative environment he’d had with visits to his grandmother’s and the all day cartoon binges. He created Fone Bone at the same age, along with hundreds of others, the one sticking in his mind through then and going slight bit of physical change. A childhood friend came up with Phoney Bone in response to his Fone Bone and Smiley came soon after, this all happening in the third grade. The interviewer then likens the three Bones to Mickey, Donald and Goofy, which Smith agrees, but didn’t plan on it to happen, but other cartoons follow those archetypes of personality as well, like Peanuts and Looney Tunes. Then they move onto the types of comic books Smith had read, first being Uncle Scrooge, then moving onto the superheroes like Batman, Green Lantern, etc., anything Neal Adams, but by seventh grade had “moved on” from comic reading. This interview goes on for a few pages so I’ll give highlights. Smith goes on to mention some Disney comics, the longer ones being quite good. Then talks of some art teachers, whilst encouraging his interest in art, didn’t support his want of being a comic artist, one teacher going so far as stopping him from going to Disney. Smith did realize later this teacher was right, he needing to do his own cartoons. He gets a scholarship to Columbus College of Art and Design, but again there wasn’t any place for cartoonists. Soon he’s hating on Modern Art, talking of its origins describing Picasso and how brilliant he was, but then continuing on how others thought they got the style and it began to fail. Likening comic book artists like Frank Miller and Alan Moore being the fore-front of gritty realistic superheroes and the copycats not “getting it”. Except for Dark Knight and Watchmen, then saying after it wasn’t understood by the other cartoonists. Smith realized he couldn’t join fine or commercial arts which pushed him into his niche of continuing his cartoons. In Ohio State University, Smith and a friend ended up messing around with the sports scoreboard which only did the usual “CHARGE!” and what-not, making little cartoons when another guy who knew how to work an animation camera got interested and joined up with them doing odd jobs for the area, soon starting their own company and eventually doing films, like Ferngully, Rover Dangerfield, and Bebe’s Kids, which was the end of cartooning for Smith due to doing Bone at the time, selling his share in the company to his partners. They were going to make a Bone short, but he wanted to keep it in the paper realm, it being a “huge undertaking”. Then he read The Tick and noticed how black and white comics were popular, at this time being 1988, but soon realizes there had been a real downfall of black and white comics during then, as well. Not knowing of it and making the first year of trying to get up and running difficult, but it began to move along after. Then he talks of how he’d gotten certain “celebs” of the comic world to give a quote for his comics. We also know Smith won’t be showing Boneville, being the reader will do a better job of it than he can and he’s sharing a different story, of leaving a sheltered life to go out into the “real world”. Then he goes on to say the Bone series would go on for as long as the story is there, not set on a certain length, but waiting for the story to wind itself down naturally and when it does, he has a set ending. Smith also mentions not planning on showing the cow race, but how it “just had to happen”. He talks also of how the pauses where a picture is shown gives the reader a moment to contemplate the characters thoughts and how it’s fun to draw, as much as an explosion is. The interview is ended with advice to self-publishers: Do your homework. Then an early Bone comic is shown. First is a short with the Hooded One looking on, thinking he’s finally got Phoney Bone, when Fone shows up and he has to stay where he is. The next is of Phoney talking to a pig whom thinks he’s a bunny, but how the pig seems to have murder on his mind. They let him out and Fone goes for a knife in retaliation, but is slung near the pig again, who apparently is supposed to be Russian, calling Fone “Babushka”, which is odd. Then we have a scene with Gran’ma Ben wondering why she can’t hear Phoney “shooting’ off his mouth”. The man eases her mind by telling her they must be in the sun room, knowing the importance of their meeting. The last is of the Bones invading a man’s apartment with the dragon. This was an odd collection, but still informative and entertaining. 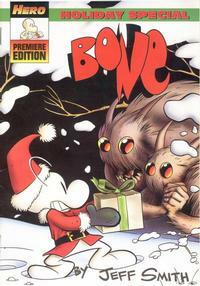 The Bone comic which was within the Disney Adventures Vol. 4 is one titled “May the Force be with You”. Thorn calls to Phoney and Fone to remind them it’s their turn to do laundry and Fone lets her know they are aware, Phoney calling fluff by replying they’ll “get right on it”. Continuing their walk away, Fone asks if Phoney notices the country lifestyle of their surroundings they are currently residing in, which Phoney includes shoveling cow barns, he preferred the “bustle of…Boneville”. Fone reminds him of how he worried about money and now he doesn’t have the option, should relax and give in to fate, Phoney arguing there are more powerful forces than fate they’d be dealing with, soon discovering a treasure map. Giving the perfect forum for Phoney to rub in how Capitalism is at work. They follow the map, Phoney determined to see it to the end with the ultimate hope of returning to Boneville in high acclaim. Phoney’s efforts, though greedy, also ended them up in a huge nest, with mama bird soon coming back. They try not to move and Fone gets gobbled for Phoney’s suggestion which has Phoney go after the big bird with threats to her unborn if she doesn’t release Fone from her gullet. His child endangerment seems to do the trick, with the angry mama spitting Fone out and ready to claw them, the both jumping out of the nest and rolling the rest of the way down the steep briar patch. They fall in to the right area, next to the tree described upon the map, Fone being surprised of its reality. They follow the instructions and Fone detects a shovel nearby. Phoney continues with how Capitalism is a “force in its own right”, and “a power that be”. Fone, who’s doing the digging, hits something after this revealing conversation. He pulls up a bag and uncovers “a bunch of dirty clothes”. Soon they realize it’s Phoney’s dirty clothes which leads to Phoney thinking Thorn must have set this up, whilst Fone replies it’s that or the “powers that be” wished they’d get the laundry done. Which ends the strip; this one being hella entertaining and on to the Holiday Special Premiere Edition. The first issue of Fionna and Cake begins with a flamed woman telling her story of where she lived; a desolate place and what happens when she kisses rocks. This changed when it rained for the first time and she’s surrounded by the little creatures, who then become larger to protect her, in the end trapping her inside because of their transformation back into their original form. We then see Cake is the one to have come up with this sad tale, which she makes up for by turning herself into the shape of a turd for Fionna’s amusement. Then they both begin wishing differently when Fionna thinks she sees the sun rising in the middle of the night, which turn out to be baby fire lions running away from a giant spider with Ice Queen controlling it. Fionna’s ready to go straight into a fight, but Cake reminds her of the choice of a bunch of different swords Cake had made which she could use at this moment, but since the time the Ice Queen had tricked Fionna with a crystal sword, she doesn’t know how she feels about sword slinging in general anymore. Fionna puts on her newly decorated rain boots and chooses a sword, anyways. Meanwhile Flame Prince takes the Ice Queen on in battle, getting a surprise which has him falling into Fionna’s arms, Cake holding them both up on her back, leaving us with a ‘To Be Continued’. The next story starts with Fionna and Cake doing their version of the Adventure Time team shout-out, this story being about a sweater bandit. Straight to the point, they can’t find their sweaters and come to the conclusion of a sweater “pilferer” and go in search of this thief. On their way, they run into Prince Gumball and then Marshall Lee, the former having noticed his sweater had been swiped, as well and the latter seeing who took them and where he’d gone. The culprit runs off, but Gumball locates the sweaters he’d knitted for everyone and invites them all back for hot cocoa. Quick and cute and on to the next. The second issue starts with Cake commanding the Ice Queen to release the fire babies. Fionna takes offense on Cake’s behalf when the Ice Queen insults the cat and tries to take a physical swipe at her. The Ice Queen retaliates by ruining Fionna’s boots the same way she’d hurt the Fire Prince. When Fionna uses the sword she’s chosen against the Ice Queen, we learn which was the lucky winner, due to it’s breaking apart upon impact with the Ice Queen’s head. When Fionna gets thrown, Cake catches her and they retreat to the tree-house due to the Fire Prince’s condition. He’s napping in a “fire-bowl” and Fionna taps it, waking him up only to realize he speaks a thick accent of cat, asking for help. After uncovering the reason for his needing to get back home so badly, Fionna goes to change out of her wet clothes, Cake is surprised by Marshall Lee and ignores his question of where Fionna is, stopping for continuation later. The next bit starts with Fionna stankin’ up the place, it being noticed first by Cake, then by Lumpy Space Prince who’s dropped by to share Prince Gumball inviting them to his math lab. Fionna continues to ignore Cake as she advises her to take a bath first, so they all go to Prince Gumball’s lab and soon he’s smelling what’s up. He’s in the process of turning her away after having invited them all so Fionna specifically can have a look at something particular, but can’t have her cooties running rampant, when they hear calls of help and has the culprit running from her smellin’ so nasty. Fionna still refuses a bath and they begin to hear some rumbling when the continuation information pops and so await the conclusion later. Quite enjoyable indeed. The third issue begins with Marshall Lee hugging it out with Cake for forgiveness of whatever had gotten her mad at him, when Fionna walks back in whilst about to say something embarrassing. Marshall Lee then confides he’s requiring Fionna’s help since Prince Gumball is in trouble due to boy’s night not going as planned, which made Fionna feel a bit left out, but then Marshall Lee continues P.G. is trapped in a dungeon and Fionna is the only one who can help him, the whole scenario making Cake none too pleased. Fionna sweet talks her into accompanying her, though and she is attached to Cake in the funniest way on their journey to the dungeon. As they get closer to the area which was blown up to get to the dungeon, Marshall Lee explains the reason they had gone where they had. When he shows her the entrance via hole in the floor M.L. is about to offer a gentlemanly way of getting Fionna to the bottom, but she hops right in with Cake guiding her fall. Fionna is talking about how hungry the place is making her when Cake is swiped and a great one-liner is said by Fionna. After kicking the enemies bones, they feast upon them whilst Marshall Lee looks on in silence and what looks like bewilderment. M.L. drags Fionna to the next room where Prince Gumball is entranced inside the gooey top bit of flan. M.L. explains why he couldn’t save P.G., which again brings a funny one-liner said by Fionna and she goes about helping P.G. by having Cake turn into a spoon. After saving the Prince and he waking, Fionna asks why she wasn’t invited to their boy’s night and the boys come clean. P.G. explains how there’s a legendary enchanted oven he’d been wanting to harness the powers of and he believed he was ready to do so, already having prepared the foodstuffs he was planning on baking, but then he realized the pilot light was out. Fire Prince wakes then and P.G. decides he should go warm up his oven, which offends Fionna, but is quickly extinguished since the Flame Prince seemed to be okay with this demand. When the item he’s baking is almost complete, P.G. informs Fionna how much he owes her and how the product he’s baking is for her, which turns out to be something she can constantly use and it also having the ability to give small wishes, the first of which is for matching shirts which make them look hilariously awesome. We then see Cake escorting all in the baby sling out of the hole, which is where we end for this issue. The next comic starts with Lemongrab going down a Fungeon and has all happy lemons go to the dungeon, then being surprised by Lady Lemongrab with a cake which proclaimed, “Happiest Lemon Day”, which ends the comic; odd one, but I’m looking forward to the next. The fourth issue starts with P.G. asking Fionna where she found the little flame. She explains the Flame Prince’s situation and then shows what they’d found within the little flame. P.G. explains how grave a situation it was, due to the stone’s fickleness. When P.G. continues with what could eventually happen to the flame, Fionna states they have to help him since he doesn’t even realize what’s going on with him. Fionna goes for a bathroom break and the Prince reconvenes to the kitchen. We see Fionna place her pack down and L.S.P. swipes her wishing gift. L.S.P. speaks to himself of how the item will help him to accomplish his goal of being impossibly beautiful. L.S.P. presses the wish button and we see what he turns into, which makes him tear up by his own beauty. When he shows himself off to his people, they all of a sudden want to bestow gifts upon him, which makes him conclude he could get anything he asks for, but of course these decisions come with a price, which he soon realizes. When he awakes, he’s been trapped within a bubble and Fionna comes from the crowd, looking pissed. She busts through and demands what he’d stolen returned. Then the people begin to surround them, thinking she’s stealing their prince, but she tries to reason with their deeper selves. When it doesn’t do much, Fionna reconstructs his face to look like what he used to, dispersing the crowd. Fionna confides how she would’ve lent the wishing implement to L.S.P. if he’d asked, which he knew, but apparently preferred swiping. Fionna leaves with the words if L.S.P. started doing nice deeds, people would notice his beauty more naturally. We then end for this comic to continue in the next. 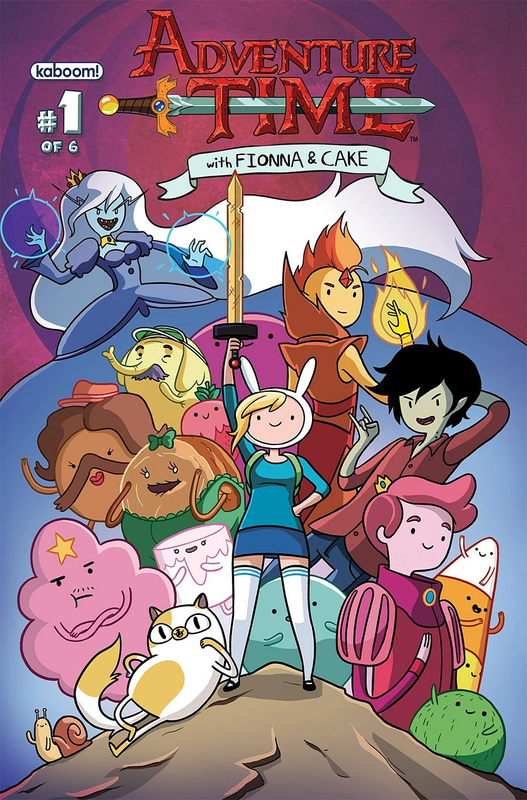 The fifth issue starts with Fionna making her way back with her rightful possession and realizing Cake and Gumball are nowhere to be found. Marshall Lee turns up after having a nap and tells her he’s home-bound and to impart to Gumball his words of departure. Fionna then detects Gumball and Cake deep downstairs and how they’d helped the Fire Prince. Cake then confirms how she’d made the outfit the prince is wearing and a matching one for Fionna. Then we observe Prince Gumball has taught Fire Prince an important compliment to use on the Ice Queen when they have a date, since she’s decided it would be a suitable trade for his fire lions. Fionna and the Fire Prince go off to the Ice Queen’s digs, she disguised as a lion and having a penguin answer the door, looking suspiciously at Fionna, which doesn’t last long for the Ice Queen’s entrance, acting sweetly towards the Fire Prince. When they sit at the dinner table, Fionna throws out some meows which translate into funniness and the Prince laughs at her. The Ice Queen then breaks the charade by trapping the prince in ice which is also when Fionna gives up on her costume and attacks the queen. The Queen grabs Fionna’s sword and then pulls at her long hair, when the Fire Prince sets Fionna’s hair ablaze, trying to save her, ending this section until next issue. Then we conclude “Cootie Power” with Fionna and Cake heading towards the rumbles in the distance. They see some sinorses are stampeding in Prince Gumball’s castle’s direction and Cake gets ahead of them, Fionna stopping them with her stank. We being shown what Fionna had been waiting for in order to bathe, the issue ending with the Prince inviting them inside. The sixth issue begins with a story of a cat whom wasn’t afraid of water and was saved by a water nymph. The cat confides in the mortal water nymph there’s a way of giving the girl a way to live forever, but the nymph isn’t interested, knowing the preciousness of life for being mortal. The cat wanted to repay the nymph for her kindness and so decides to locate this treasure for her. When the cat gets into some trouble on the way, the cat is once again saved by the nymph for having been following. The water nymph is injured, though so the cat goes off to repay the debt. Then we switch over to where we left off with the Fire Prince and Cake, who go to help put out the flame which was upon Fionna. She realizes, though she can’t keep everything she holds dear and must let go of one, being some of her hair, which Cake was more attached to since she liked to play with it. Fionna then confronts the Ice Queen on her reasons for hating her, but the Ice Queen sets her straight, it’s for Fionna getting in the way than actually hating her. She goes after the Fire Prince, taking the crystal back, having done so for selfish reasons. The Ice Queen melts, though and Fionna and Cake are now in the position of having to save the fire lions and the prince. Then L.S.P. shows up wanting the wishing device and a fire lion jumps up to him, being absorbed into L.S.P. When everyone is safe, Fionna is repaid by the Fire Prince for saving him and his kittens. Cake has the idea Fionna should use her last wish to become a Fire Princess, but instead would rather wish for food and then we learning it’s all a dream, but from whom, is pretty funny. To read my reviews on Adventure Time. The introduction may well be a part of the story which tells of the ship which crashes onto an island in the beginning of the year in 1888. An Edward Prendick, the uncle of the one writing the introduction is picked up by another small ship. His story was so wild it made him seem mad and couldn’t remember anything before escaping the Lady Vain, the ship which crashed. The following story was apparently found among his possessions by his nephew. The coordinates recorded proved it led to an island uninhabited and with only a few odd animals residing there. We then discover the Lady Vain began her journey in Africa along with the Captain John Davies and a variety of animals aboard, missing for eleven months until his uncle reappeared where the ship had crashed, the beginning of the tale being his uncle’s recollection. Prendick first gives a more updated look into what the rumors before had put forth; all men on the dinghy who survived the Lady Vain, had perished, which he clarifies is untrue since he survived, also there were actually only three who made it to the dinghy. Then he describes what happened to a man whom tried to reach the dinghy, not making it back above water, which in his opinion was better for both sides, for not having enough supplies to keep four men alive. They stayed without water upon the little dinghy for eight days, soon having crazed thoughts, when Helmar voiced an idea to the others. Helmar’s idea, whilst agreed upon now had to be acted on, which needed the four to draw “straws” to see who would be the “lucky” one. The strongest sailor aboard had the “honor”, but was stubborn against agreeing, attacking Helmar, the both falling overboard. Not long after a schooner passes by and takes him aboard where they give him some drink and he meets a man he only recalls the eyes of, believing he was having a nightmare, until seeing him again. Next Prendick is aware, is of the man taking his vitals in a small room, the both staring at the other during this process. The man asks Prendick if he’s alright, he replying to the affirmative, his eyes questioning. The man proceeds to inform him of how he’d been found, stating the captain of the ship they were currently on and how the man, himself was a passenger as well from one of the places the ship had stopped. Noise keeps coming from above them, with Prendick soon hearing someone else insisting on whomever is growling to “desist”. The man who’s been tending to him goes on to mention how he’d injected him and had also recently given him a substance which had made him feel stronger, if not tasting to the consistency of blood. He also found out he’d been senseless for almost two days. He then learns he’ll soon be fed and meanwhile the man wanted to know how he’d been stranded on the little boat by himself, not getting an answer for being distracted with the howling dogs outside and sounding like he was violently responding to whomever he was talking with, who in turn, didn’t sound as if he was speaking intelligibly. When Prendick returns, the man enquires again, to spur him on with his story, he starting with his name and line of studies, the man seeming interested, but veering his conversation back to the boat, soon satisfied with Prendick’s answer, talking of the city they both knew and then looking in on the cook who was in charge of Prendick’s meal. When the man is on his way out, Prendick inquires of the growling sound, but the man withdraws without answering, returning with his meal and Prendick distracted by his hunger, not questioning again. When he recovers enough to walk around and go above-deck, we learn of the man who’d been nursing him was called Montgomery and lends him some of his clothes to wear for his own were thrown overboard, but Montgomery’s frame was larger and so the clothes loosely fitted. Prendick asks where they were headed and Montgomery supplies the captain plans on going to Hawaii, but will first stop at the island Montgomery resides, once he finished dressing, they both leave the cabin. On their way out, Prendick is confronted by the strange looking man he’d heard Montgomery talking with earlier, noticing his odd behavior and movements. When Prendick had beheld his face though, it was grotesque and familiar to the point of confusion as to where he could have possibly seen him before. He continues on, seeing some caged animals, then seeing the black-faced man being followed by a red-haired man, he giving him a blow which knocks him over and upsets the muzzled dogs around him, satisfying himself. Montgomery addresses the man as captain, and complains to how he’s treating the black-faced man, him being a guest on-board, the captain disregards his statement, going on to express his regret in ever agreeing to take him or his animals onto his ship, continuing with threats to the black-faced man if he comes a fore ship again, Montgomery seeming to get into a state of a dangerous mood. Prendick tries to defuse the situation, taking the verbal abuse upon himself and being reminded of his unpaid passage on the ship, but at least dispersed the possibility of a quarrel. Prendick continues to wonder of what Montgomery is all about and why he had all those strange animals with him, especially as he notices how the second-mate also seems sullen to be friendly with him. They were now within a distance of Montgomery’s island and were continuing their voyage closer as Prendick and he discuss London. Prendick was also going to thank the man for saving him, which Montgomery declines with words it was purely chance he was even moved to doing so at all, soon hinting at how he’d become separated from his home of London eleven years previously. He then decides to say no more, which Prendick doesn’t push, since he isn’t curious, soon noticing Montgomery’s attendant once more, leaning nearby and Prendick becoming spooked by his oddly illumined eyes. After, Montgomery suggests turning in, which they both do, going to their cabins. Prendick is awoken by shouts and the throwing of objects, then notices the change of direction of the ship and a wave going over his port-hole. Dressing to investigate further, he goes to deck and is blocked by the captain, who is “throwing” all the animals and soon Prendick, as well, overboard. After thinking Montgomery would be able to accommodate him and being wrong, he begins to despair and once upon the little dinghy, was set adrift, too hungry to feel optimism at his isolation yet again. When Prendick had calmed, his situation changed as well, Montgomery, once they were setting to leave for the island, made it so Prendick’s dinghy could be towed along with them, due to Prendick’s drifting aimlessly. When Prendick began to stare at the other men who were with Montgomery, he had a feeling of disgust instinctively, not knowing why and as they got closer to the beach another strange person awaited them to help dock them to the shore. When Prendick steps on land, a grey-haired man becomes more interested in him once he uncovers Prendick has gone to university and studied with a man of high repute. Montgomery then asks for Prendick’s help to get some rabbits ashore and once this is done is given some food to revitalize his weakness as they go to the house. Prendick follows the llama to its enclosure and this is where the grey-bearded man and Montgomery decide where their “uninvited guest” will stay, knowing he’s a man of science, but not knowing if he can be brought into their confidence, they decide, and Prendick agrees to whatever it is they land on, being he’d stay in a room of Montgomery’s. Prendick is shown to the room, with the only other door locked for convenience and then upon Montgomery leaving the room we hear the name Moreau for the first time, being called by Montgomery, which Prendick seems to recognize, but forgetting where he’d heard it before. Prendick continues to ponder about the attendants with their odd voices and speech when Montgomery’s attendant comes in with refreshments and getting a closer look at him, reminds Prendick of where he’d heard of Moreau before, which was in a pamphlet to do with horrific research with animals, having his laboratory closed and being no longer able to work in London. Prendick then figures out the reason for the animals would be for operating upon, also having smelled antiseptic, but still not sure what reason there could be for this. Later, Montgomery brings another meal, informing Prendick he’ll lunch with him, but Moreau would have to take a rain-check. Once Prendick mentions his recognizing the name, Montgomery confirms if he knew the name in some way, he’ll most likely be able to deduce some of the secrets they’ve kept from him. Prendick then goes straight into asking about Montgomery’s attendant and why he looks the way he does, Montgomery not realizing it was so obvious the attendant had odd attributes. Montgomery doesn’t confirm or deny anything, but also not giving any indication he realized the strangeness of the attendant, Prendick not wanting to call him out on his trying to deceive him, so they finish their meal, whilst listening to the operation of the puma in the other room, hearing its screams. The loud pain of the puma continues and Prendick soon leaves the house in search of more quiet accommodations. Prendick makes his way into the strange tree-bespeckled forest behind the home. He locates a comfortable place to rest and begins to meditate, wanting to think more on the oddness of Montgomery’s man, but unable to for the tranquility of the environment easing his mind. After a small amount of time dozing, he notices a man drinking from the nearby stream and walking like an animal. When Prendick moves to get a better view, he’s heard by the man, who slinks off back the way he’d come, the both staring at each other for a prolonged period before and whilst his retreating. Prendick’s calm state now being ruined by this meeting, he starts to comfort himself with the idea the man most likely wasn’t a savage since he’d been wearing nice enough clothing and drifts to other thoughts. Prendick makes his way across the stream in the opposite direction of noises which sounded like the puma. Prendick notices an odd looking fungus and then a torn apart rabbit and thinks of the strange man he’d witnessed earlier. He then decides to head back to the house when he sees three human figures in a clearing. One being female, this group was only adorned with loincloths and had disturbing facial structures. Prendick wasn’t noticed and believed it was because one of the men was speaking to the others, soon all three are chanting and getting charged up. Prendick decides to make a calculated exit away from the trio, coming to the conclusion of though they were human, they seemed to have hog-like attributes. When Prendick believes he can move more quickly, he then notices the man he’d seen at the stream was following him. Prendick faces the fear of confrontation and approaches him, asking who he was, but only receiving a non-related answer as the man moves away from him. He then decides to leave him be since night was falling and he’d rather be back at the house with the noisy puma than stuck in the dark forest. Soon though, Prendick begins hearing and feeling as if he’s still being stalked, but unsure of whether he’s being paranoid, realizes this distraction of listening for the noise of pursuit had turned him around, but also begins noticing the crash of waves. Though now being definitely followed, Prendick arms himself with a rock and makes a run for the area of the house, the creature following him now seeming to have dark intentions. Prendick, having the opportunity to defend himself and making good a blow to the body which falls face down in the water, he then hearing his name being called, goes into the house. Prendick gets closer and hears Montgomery shouting for him from his room and when Prendick responds, Montgomery mentions how they’d remembered to check on him only half an hour earlier and couldn’t believe he’d gone exploring without informing them, now concluding he must’ve met some of the “curiosities” in the woods. Prendick insists on knowing what kind of creature had been chasing him, despite Montgomery’s deflective answers and being supplied with the name of the creature, which doesn’t contain much of an explanation and after Montgomery offers a sedative to help Prendick sleep, which he willingly accepts, he next waking well into the day. He partakes of the food he observes on the table in his room and Montgomery checks on him only long enough to relay he was quite busy and leaves him, Prendick noticing he’d forgotten to lock the door and also after recognizing a human was this time groaning and crying nearby, prompts him to go out into the normally locked yard and sees a brief as well as confusing sight before being thrust back into his room by Moreau. After hearing a broken conversation between Moreau and Montgomery, Prendick figures he’s in more danger than he considered. Prendick is now putting together, with the fact he’d seen a human being the subject of Moreau’s experiments, the creatures he’d been running into must be apart of Moreau’s pastime, as well. Prendick makes a feeble weapon from a bit of chair and when he goes to the door and discovers Montgomery coming to lock him in, runs toward him swinging his non-threatening weapon and running around a side of the house, Montgomery yelling and chasing after him, seeming to be trying to explain. Prendick runs off in a right angle from where he previously explored, noticing he was no longer being followed and resting in “shelter of a cane brake”. After some time he hears Montgomery shouting his name faraway northward of him, which sets him into figuring out his next course of action. Realizing his pathetic weapon against the firearms of Montgomery and Moreau had the baring of uselessness he then notices his hunger, recognizing the futility of his trying to escape, but once hearing the sound of baying, sets off towards the noise of the sea. When they’d arrived, Prendick is startled by another mutilated being, in similarity of action to a sloth, his guide having disappeared for a moment, giving him a chance to appraise his surroundings, the creature reappearing to beckon him into a lean-to where another creature awaited to meet him, Prendick for a moment thinks of fleeing, but decides to follow through with his “adventure”. Prendick enters and takes the coconut given him by his guide, trying to act calm whilst feeling dread. The guide soon is excited to make it known Prendick is a man, exactly like he, being told to be silent by another voice not seen. The voice enquires whether Prendick will be staying which he confirms, then being told he’ll have to learn the “Law”; it being a simple one if one’s not a baby or animal then proceeding to chant more requirements of etiquette. Prendick is fighting not to laugh or show disgust, copying the group, then chanting another bit of mysterious bunch of rules about whomever they follow. After this, his guide mentions how Prendick also has five fingers like himself, bringing the creature Prendick couldn’t see clearly forward enough to get a look and feels his talon-hoof, horrifying Prendick more, also seeing his face was hard to identify most any features. After, Prendick is witness to a repetitive confirmation of the creatures being forced to deny their animal instincts, all the whilst Prendick bewildered, but trying to match the group’s fervor of the litany. It’s interrupted when some of the group go outside and Prendick hears a yelp from a stag-hound, still inside the hut. When he does finally go outside to see what the excitement was about, he sees Moreau come out from the trees. Prendick estimates his best route of escape, but when Moreau cries for the creatures to catch him, Prendick still has a few seconds before they realize they are meant to stop him, but soon Prendick does have to fight back to make his way out and when he gets to a steep slope and hears his pursuers following, he also believes he hears Montgomery, who was with Moreau, shouting for him to run for his life. He gets away a bit further before falling down a precipice and minimally injuring himself, hoping he’ll run in to the sea in the direction he chose so as to have a proper way of drowning himself if necessity called for it. Prendick discovers a stream which was boiling hot, but also detects the ocean, as well, now not feeling so desperate as to end his life, but also realizing he’s unequivocally on his own, for not being able to trust the Beast People. Prendick makes his way down to the beach noticing the small crustaceans who moved out of the way as he walked along. When he reached the shore he then considered how he’d be able to circle around to go back to the main house where Montgomery and Moreau stayed to locate a weapon of some kind whilst they were out, considering this a good possibility and began walking in the direction he believed it would be. After walking a short time he sees Montgomery and Moreau, plus some others break through the foliage on to the beach far ahead of him, stopping him in his tracks. When the group sees him, they advance in his direction, pushing him to the only area they weren’t blocking him from, into the ocean. Montgomery gets close enough first to ask him what he’s doing. Prendick threatens he’s going to drown himself, Montgomery then asking why, Moreau having come close enough to hear, as well. Prendick explains he refuses to be tortured by them, knowing they would eventually try to experiment on him and not wanting to be turned into one of the Beast People. Prendick goes on, soon speaking to the Beast People themselves about how they are perceived by Moreau and Montgomery, now they trying to drown Prendick out so the Beast People wouldn’t be able to hear the possibilities of revolt Prendick tried to make them realize. Moreau then forces his peace in, expressing to Prendick he can say what he wishes after, he consenting. Moreau continues with bad, schoolboy Latin, trying to get his point across and convince Prendick to come ashore so he can explain more thoroughly and if Prendick does go any further in the water he will be eaten by sharks. They come to an agreement involving Prendick having two of their revolvers, with them going towards the trees and waiting at what Prendick might deem a safe distance to come in from the water, after a short time of quibbling about how it would be done and getting a few more answers to Prendick’s questions being given in relation to why they had chased him so relentlessly, Prendick follows them and they go back to their compound. When Prendick and Moreau had taken sustenance, Moreau begins to explain, but not before making clear he would thereafter be done explaining himself and Prendick could threaten suicide for whatever reason with no batting of the eye from Moreau, even if it did put him out in some way. After he had made Prendick confirm the creature he’d heard in the adjoining room was a puma, he explained the nature of his work, without Montgomery since Prendick didn’t want to be stuck in a confined room with the both of them. Moreau assures Prendick how the creatures he’d met had not been human, but only had experimental surgery done on them. Moreau also mentions how these surgeries were done in more barbaric ways in the past with dwarves and how Siamese twins could also be included, then relating how Victor Hugo wrote of it in, The Man Who Laughs. Moreau then goes on how one could theoretically transplant tissue, blood or reconstruct the limbs of the animal, he claiming to be the first in taking part in these surgeries, but then says others have applied this technique as a last resort and without being medically trained, unlike himself. When Prendick points out the creatures were able to speak, Moreau regards most animals, with the allowance of the surgeries, could be taught to speak. Moreau also answers why he’d chosen to model the animals new forms to humans, he claiming it was purely by happenstance, also revealing he’d tried other forms. Prendick voices how he still doesn’t understand why he had to go to all this trouble and how he can defend his reasons for putting the creatures through pain, Moreau believing Prendick to be a materialist due to their differing viewpoints on the idea, trusting Prendick’s empathy being a part of his relating to animal instincts, viz. sin. Moreau proves his point by stabbing himself in a part of his thigh which doesn’t feel pain and explains why humans a different concept of pain, ending with how pain and pleasure is felt by humans as opposed to animals. Moreau also divulges how he no longer felt empathy, wanting only to understand the malleability of the human reaction. He then goes on to list a couple of his creations which didn’t turn out well or last long in the living after he’d changed them. Then he had his first minor success with a gorilla whom he’d eventually introduced to the Kanakas who lived in the huts on the island and were intimidated by Moreau’s pastime, but when they realized the changed gorilla wasn’t a threat, they began to teach it more human knowledge until one day a couple of the Kanakas were teasing the gorilla-man and it’s first nature came out and it climbed into a tree, where Moreau saw them and berated the gorilla-man for reacting so. We then learn what had happened to the Kanakas who were no longer living on the island and how the last of them was killed by another creation of Moreau’s, a creature unfinished and taking whatever life it ran into. Now Moreau is unrelenting in his goal of making a creature as close to human as possible, believing the puma to be his breakthrough. He also mentions how the creatures he’s turned loose are released from his efforts due to their not living up to his ideal of humanity for them, but how Montgomery has taken some interest in a few and even getting them to work for them. The other creatures though, Moreau realizes they’ve made some fashion of a religion or law, but doesn’t see it as a viable human characteristic. They end their conversation for sleep soon after and Prendick is exhausted by all he’s learned, locking his room and soon sleeping. Prendick awakens early to check his room to be sure he was locked in from every possible entrance than he is brought breakfast by a creature now known as M’ling, Montgomery following after, Moreau being too busy with the puma to join them. Prendick asks about the Beast People’s inability to harm both Moreau and Montgomery, it being a part of Moreau’s surgery and hypnotism they are unable to go against the teachings they try so hard to uphold. 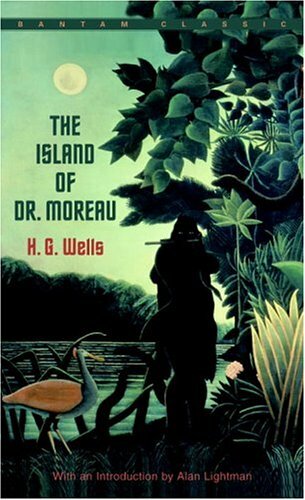 Prendick then learns more about the characteristics of the island which moves on to how many of Moreau’s creations currently inhabited the modest surroundings which is followed by a slightly more detailed account of the creatures attributes, not being able to go too far into depiction since every creature varied in its body type, but also due to Prendick’s lack of practice and eye for the process. Prendick then describes of being a scattered writer and losing his point, moving on to Montgomery showing him where he’d run through the boiling waters the day before. They then begin to run into the larger of Moreau’s creatures, catching a small one which was similar to a rabbit, Prendick noting it could fit into a park of society to replace the rabbits who dwelt there. They then saw the Satyr and Apeman who both passed and regarded Montgomery with respect as they strolled by, Montgomery commanding them they needed to start respecting Prendick the same, the two conversed with each other remembering how he’d acted unlike either Montgomery or Moreau the day before when he’d been chased by them into the ocean, but Montgomery maintains they must do so irrespectively, the two creatures then considering Prendick had five-fingers like the Apeman, Montgomery and Prendick moving on until Montgomery notices a torn apart rabbit, being disturbed by this sight Prendick offers he’d seen a similar sight when he’d arrived on the island and was followed by a creature whom sucked water. Montgomery continues to be affected by this knowledge and decides to confess to Moreau of what they’d seen, coupled with the remembering of teaching their servant how to skin a rabbit for Montgomery’s meal, Moreau takes this news seriously and thinks of a way to prove the creature he believed had done it could be shown as evident. At noon Prendick, Montgomery, Moreau, and M’ling go into the forest so they could have a meeting amongst the Beast People, Moreau blowing upon a horn to call them. As the large group of creatures joined where the four were standing, they grovelling their way closer, Moreau notes four were missing and were late in coming to them, the Leopard Man trying to sneak up behind Moreau, but when they arrive, Moreau makes them all speak the Law until reaching the one he wanted to speak of, halting their chant. All the creatures chanted what happens to who breaks the Law, which was to “go back to the House of Pain”, so the Leopard Man, who Moreau knew was the culprit, leapt up and attacked Moreau which ended with Moreau firing his gun. The Leopard Man escapes, running off with everyone pursuing him, it becoming a longer chase as Moreau deduces the Leopard Man had begun running on all fours. As they get closer in capturing the Leopard Man, Prendick realizes and begins to pity the Leopard Man’s situation, he knowing he’ll be going back to a place of torture if captured and Prendick knowing the poor creature was following his animal instincts and so Prendick puts him out of his misery. When Moreau sees this he commands the other Beast People to carry the body to the sea, Prendick apologizing for his hastiness, but actually not feeling badly at all. Prendick concludes his fear for the Beast People then turned into a fear of Moreau due to his inexplicable reasoning for continuing to do his “work”. Prendick then considers elaborating more on the subject. Prendick had stayed for around two months before all he could feel toward Moreau’s experiments were negative in nature. By this point he also had a falling out with Montgomery due to his affinity for the Beast People and then we hear of a terrible catastrophe which tainted his viewpoint of his environs. Prendick describes the circumstances before the calamity started, he divulging of it being early in the morning and being awoken by a trio of Beast People transporting wood. Moreau then comes out and greets Prendick on his way to his “torture room” and after entering, hearing the puma start to scream again. Not long after, Prendick is confronted with a terrible sight as the puma came straight at him and during his fall, breaks his arm, staying collapsed as Moreau doesn’t stop to help him, but hurries after the puma which was quickly escaping. Montgomery then comes out at first not noticing Prendick being hurt, since he’d found a way to gain his footing again, but soon realizes how Prendick is holding his arm, then binding it and leaving a revolver for Prendick since he planned on going after Moreau in case he needed his help. Prendick is left at the enclosure until late in the day when Montgomery returns, too out of breath to describe what has happened so far, asking for a drink. When he’d caught his breath he began to relay his story of not discovering Moreau, but a trail of blood up until reaching rocky ground, then being joined up by M’ling and soon after seeing a couple of Beast People acting oddly, then deciding to check the huts. Upon reaching them he sees two Swine People who had blood-stained mouths and acting charged up after which they attacked Montgomery, he shooting one and M’ling taking down the other. After running into one more Beast person, they both head back to the enclosure, Prendick asking what this meant and Montgomery not being able to answer. When Montgomery continued to do nothing constructive, Prendick convinces him after they’ve eaten, to go and look for Moreau again since he wouldn’t have stayed missing this long without some kind of tragedy befalling him. As they begin walking through the forest M’ling is first to hear others approaching and when the other two stop, they all hear what they’re saying, but Montgomery interrupts them and so the group quiets and the three show themselves. Montgomery is also first to ask if what they were saying was true, no one speaking at first for guilt, but then confirming their words, asking Prendick’s group if the Law would still be valid. Prendick then takes over by confirming it would be and the belief they thought Moreau was dead a mistake, making them believe he was elsewhere and still watched over them. The Beast People were then told to lead them to Moreau’s body and upon seeing it, they are helped to bring the body back to the enclosure and Montgomery with Prendick, put the rest of his experiments out of their miseries, M’ling going off with the Beast People. After the dirty work was complete, they washed off and sat down in Prendick’s room to figure out what they would do next, Prendick realizing how deeply ingrained with Moreau’s philosophies Montgomery was. Prendick tried to come up with a way of dealing with Moreau’s body, what would become of the both of them and what they would do about the rest of the Beast People, Montgomery getting exasperated and demanding Prendick have a drink, he declining, Montgomery drinking alone and wondering what he would do with his life, feeling he was an outcast amongst “normal” society by this time. Montgomery then remembered how well M’ling treated him and decided he wanted to give him a drink, Prendick trying to stop him since M’ling was still an animal, but Montgomery had become ornery and loud, deciding to do what he wanted. Montgomery goes out, calling for M’ling and when he comes with some others, Montgomery gives him the bottle and jogs off, the others following, soon he leading them in an insulting song against Prendick. After this, Prendick retreats back indoors and begins contemplating what he’ll do next. He comes up with a plan for himself, believing it was too late to save Montgomery, then after an hour he hears Montgomery and company making noise outside near the beach. He doesn’t give this notice and continues searching for items he would need for his sail the next day, but then he hears a gunshot go off with a ruckus of voices before, he deciding to investigate. What Prendick had been hearing was a massacre with Montgomery in the middle of it, a few of the Beast People being victims, as well and the rest running off when Prendick is seen. Montgomery is badly injured, Prendick making him comfortable before checking on another Beast creature which Prendick had to put down. He then realizes the enclosure was on fire and he had caused it, noticing also his only way off the island was gone along with any useful items he was planning on taking with him from inside the house. As dawn approached and any survivors of this unseen attack died, a few Beast People come out of the woods and approach Prendick, not seeming friendly. Prendick masks his fear of their coming by using Moreau’s way of dealing with the Beast People, making them bow to him and reminding them of the Law. Once Prendick realized they would listen to him, he commanded them to take the bodies and dispose of them by sea, which they did, Prendick then being approached by a Hyena-Swine Man. He tries to command this Beast Man to bow down as well, but the Hyena-Swine asks why he should, so Prendick shoots to kill, but misses and the Beast Man runs off, Prendick not wanting to risk another shot and missing again. He dismisses the Beast People and wanders off to think of what he will do now he had no safe place to rest. Prendick continues to contemplate his fate, wandering back across the beach when he’s approached by a lone Beast creature he’d commanded over earlier, but was so paranoid of it turning on him, draws his weapon until he is certain the creature won’t attack, but demanding the beast leave him alone, he resisting Prendick’s request at first, until Prendick threatens to throw a stone at him, finally leaving him. As the day grew hotter, Prendick approaches some Beast people basking in the sun on the beach, expressing to them of his hunger, one of them responding their was some food in the huts, Prendick goes off and eats some of the fruit, then erecting a small barricade which would serve noisily enough to allow Prendick enough time to defend himself if need be, then drowsing sleepily after being up twenty-four and some odd hours. When Prendick awakes, he hears Beast People outside and his barricade gone, but his gun still in his possession. He then realizes there is something lying next to him and reacts repulsively until he figures out it’s the creature he’d turned away the day before, also figuring if this creature was acting so loyal to him, then he’d be safe enough amongst the other creatures. The Dog creature seemed satisfied Prendick planned on killing all the others who no longer believed there to be a master and Prendick confirms this whilst also relating to him whomever he chose to be spared, would be, but the Dog creature seemed happy they’d all be punished in general. When they exit the hut and walk among the Beast People, the Ape Man chittering of the House of Pain being gone and the Master no longer there, as well, Prendick startles them all by revealing of their being wrong of this, the Master being unseen and the House of Pain returning, so all of those who didn’t abide the Law would regret it. He continues to confirm these “facts” as the Beast People aired their doubts, soon convincing many of it being true and the others at least to be wary of it’s truth. All then leave, heading towards the ravine as the sun fell which began Prendick’s next ten months among the Beast People, some warming up to him whilst others going about their business, Prendick consistently being careful of the Hyena-Swine sneak-attacking him, also sensing he’d gone mad with blood-lust and was impossible to catch for scenting Prendick’s approach to his lair. Then as time passed, the Beast People begin losing their Human-isms and reverting to their animalistic state. Prendick found himself then spending more alone time at the site of the burnt down enclosure of Moreau’s, it being safest if he wanted the Beast People to stay away from him. Then as more time passed, the Beast People’s surgeries began wearing off in small ways, showing more signs of their animal side, but not fully ever being “normal”, since two animals were blended together and even Prendick began looking oddly and still maintained the hyper-alertness in his eyes even after escaping the island. As the year passed, Prendick would see few ships sailing by, but when he did, had a bonfire ready to light, but most of those who passed were aware of the island’s reputation for volcanic eruptions so ignored Prendick’s sign of life and when Prendick then was ready to try and make a raft, realized he had no rope or anything similar to bind wood together, feeling clumsy, but since healed felt dismayed at his impuissance. At one point he succeeds in putting something together, but it falls apart before he can set it off at sea, he feeling quite down about his short-comings as a carpenter. One day, the sloth creature had woken Prendick, well past being able to speak by this point, it makes noises implying for Prendick to follow him and when reaching the trees notices the Swine-Hyena had killed his Dog creature and was still reveling in the flesh. When the creature noticed him and didn’t run in fear, but only growled with threat, Prendick whips out his gun, the creature springing at him as he fires, Prendick succeeding with his aim this time, but also aware if the Swine-Hyena was confident to attack him, more would come. Now the Beast creatures had fully lost their Humanity, Prendick considered how he would’ve gotten rid of them, but he didn’t have enough cartridges for his guns and didn’t want to set all his luck on traps. Prendick then tries to make another raft, but realizes he had no way of transporting water on it until he had a day of rapture. He sees a sail and immediately sets his fire, not knowing until the next day whether the little ship had seen him, but then realizing they were getting closer, even though the ship seemed to shift oddly in opposition to the wind. Prendick tries to get their attention, but is ignored, the schooner getting closer to shore, then Prendick realizes why he wasn’t noticed, the two men inside being no longer of this world. He dumps the bodies and some of the Beast creatures come to figure out what he’s up to. Prendick boards the little boat and aims it toward a different area of the island so he could fill the barrel within with water, catches some rabbits and gathers some fruit for his trip. Prendick stays at sea three days and nights, reflecting on all he’d gone through and not missing the company of men. He is found on the third day by a decent sized vessel and when he tries to relate his story to the Captain and first-mate, being met with signs of he being crazy, he from then on keeps his story to himself, feeling as ostracized as he’d felt on the island with the Beast People. He also maintained a fear of people soon reverting to an animal state, but a mental specialist who’d known Moreau helped Prendick with these thoughts. He then mentions after his fear would come and go, he knowing people weren’t going to regress into an animal, but after wanting to live in a place of solitude. After a short sojourn in the city of England, he finally escapes the oppressiveness by locating a spot in the country, studying and experimenting in chemistry and studying astronomy on clear nights, Prendick feeling a peace of mind and ends his narrative. An oddly satisfying read; dark, but exciting.